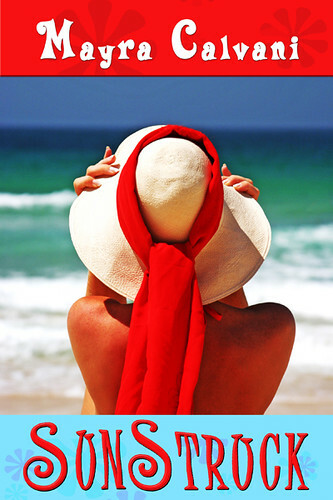 I’d like to announce the release of my parody/satire novel, SUNSTRUCK, just published by Twilight Times Books! I really like the cover. Just looking at it makes me want to run to the beach–almost impossible in the middle of Brussels. 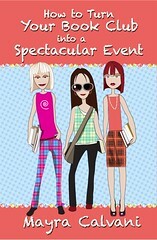 It is a light, fun cover for a light, quirky summer read. 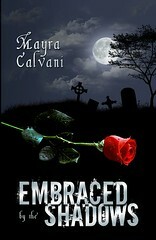 As part of the book’s release, I’m having a One-Day Blitz at Enchanted Book Tours and Bewitching Book Tours. 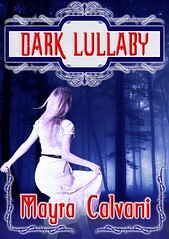 There will also be a virtual blog tour starting tomorrow and running until September 15th. 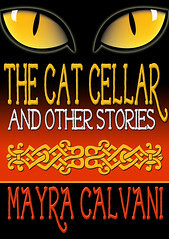 You can read reviews about the book on Amazon and also read a chapter HERE. Cheers and happy summer reading! At a trendy Turkish tavern one Friday night, astrophysicist Gabriel Diaz meets a mysterious young woman. Captivated by her beauty as well as her views on good and evil, he spends the next several days with her. Soon, however, he begins to notice a strangeness in her–her skin’s abnormally high temperature, her obsession with milk products, her child-like and bizarre behavior as she seems to take pleasure in toying with his conscience. The winner of my Hoppy Easter Eggstravaganza Giveaway is…………………………….. 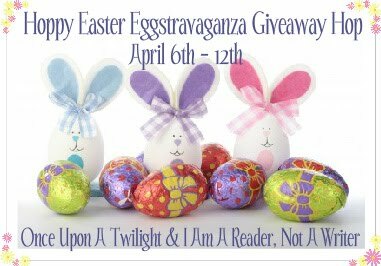 The Hoppy Easter Eggstravaganza Giveaway Hop, hosted by I Am A Reader, Not A Writer and Yara @ Once Upon A Twilight has officially started! It will run from 12:01 AM EST on April 6 and end at 11:59 PM EST on April 12. I’ll be giving away a $10 Paypal payment to one lucky winner! It was an honor to be interviewed by Marcela Landres for her wonderful newsletter, Latinidad. In the interview, I talk about book reviewing, the things to avoid and what reviewers should embrace. Julia Cameron and her marvelous book, The Artist’s Way, completely changed the way I approached writing, inspiration and creativity. I can honestly say that this book changed my life. It has also changed the lives of millions of artists and creative people worldwide. If you’re already familiar with Cameron’s work, you know I’m not exaggerating. If you’re new to her work, I urge you to discover it. It’s never too late! The kit includes a contract, the artist’s date, artist’s date exercises, creativity pages and creativity notes. For those of you on the go, there’s an app for the iPhone, iPad and iPod Touch. You can learn more about this exciting program at My Artist’s Way Toolkit. Thou shall have no other gods before the reader. The review is not about the author, nor the publisher, and especially, not about you, the reviewer. Reviews are all about the reader. Don’t try to impress with pompous words in an attempt to glorify yourself or appear scholarly. Give readers simplicity and clarity. They’ll appreciate it. If they want verbose and fancy, they can read Shakespeare. Thou shall not lie. Honesty is what defines your trade. Without it, you’re doing nothing but selling copy. When you give facile praise or sugar-coat a book, sooner or later readers will take you for what you are: a phony. Thou shall not eat the evaluation. Some fledgling reviewers write a long blurb of the book and leave out the evaluation. The evaluation is the most important part of a review. A summary of the plot is not an evaluation. Saying, “I really liked this book” is not an evaluation. The evaluation tells the reader what is good and bad about the book, and whether or not it is worth buying. Thou shall not reveal spoilers. Nobody likes to be told the ending of a movie before having watched it. The same thing is valid for a book. If you give spoilers in your review, not only do you lessen the reader’s reading experience but you also risk being sued by the publisher or author. Thou shall honor grammar, syntax, and punctuation. Don’t be one of those reviewers who are more in love with the idea of seeing their name online than making sure their reviews are well-written and thorough. Your reviews may hang around on the internet for years to come and will reflect on your level as a writer. Run a spell check, edit, revise, and polish your review, as if you were posting a short story. Get a good book on grammar, and punctuation, take an online course or listen regularly to podcasts such as The Grammar Girl. Thou shall honor deadlines. If you join a review site where the turnaround for reviews is 3 weeks, then you should respect that agreement. If you promise the author to have the review ready in two months, you should honor this too. Be honest and straight forward from the beginning. If you’re so busy your turnaround is six months, make sure to let the person know. If for any reasons you cannot meet the deadline, contact the person and let him know. It’s your responsibility to maintain a do-able schedule. Thou shall not be prejudiced against thy neighbor. Don’t assume that a self-published or small press book is poorly written. Give it a fair chance and let it speak for itself. Likewise, never assume a book published by a major NY house has to be good. You’d be surprised by the high quality of some small press books by unknown authors, as opposed to those written by big name authors whose titles are often in the bestseller lists. In general, most subsidy books are mediocre, but there are always exceptions. If you’ve had bad experiences with subsidy books, then don’t request them nor accept them for review. If you decide to review one, though, don’t be biased and give it a fair chance. Thou shall not become an RC addict. RC stands for Review Copy. Requesting RCs can get out of control. In fact, it can become addictive. You should be realistic about how many books you can review. If you don’t, pretty soon you’ll be drowning in more RCs than you can handle. When this happens, reading and reviewing can change from a fun, pleasurable experience into a stressful one. If you’re feeling frazzled because you have a tower of books waiting to be reviewed, learn to say NO when someone approaches you for a review and stop requesting RCs for a while. Unless you’re being paid as a staff reviewer for a newspaper or magazine, reviewing shouldn’t get in the way of your daily life. Thou shall honor thy commitment. Remember that any books you’ve agreed to review beforehand are being sent to you in exchange for a review. If your policy is not to review every book you receive, state it clearly on your blog or site so the author or publisher will know what to expect. If you have agreed to review a book, but have a valid reason for not reviewing it, let the review site editor, author, publisher, or publicist know.